Cocktail Trading Company in Smithfields is the second bar from award-winning bartenders, Andy Mil, Olly Brading and Elliot Ball. They opened their first bar at the beginning of this year in Oxford Circus and now Farringdon sets the location for bar number two. This is not your ordinary bar however, for instance to get to CTC, you have to go through Ask For Janice restaurant and down the stairs, to which you look you’ve just walked in off the street, avoided the food and headed straight to the basement where you are either going to find a) the toilets b) a standard storage cupboard or c) a very, very cool bar with amazing cocktails. Luckily we got option c! The bar itself is pretty small, but has plenty enough tables, for those who know its whereabouts. Inside it’s a cosy affair, with very dim lighting, candlelit tables and beer jugs filled with monkey nuts. The drinks are a mixture of classics and not so classics, but even ordering a classic drink, it is served up a little different. We tried out a few from the menu, which has an array of cocktails but is super tiny in size and in the darkness not the easiest to read, but it’s all part of the charm and uniqueness of CTC. The menu also has bar chat at the back in case you need some conversation. 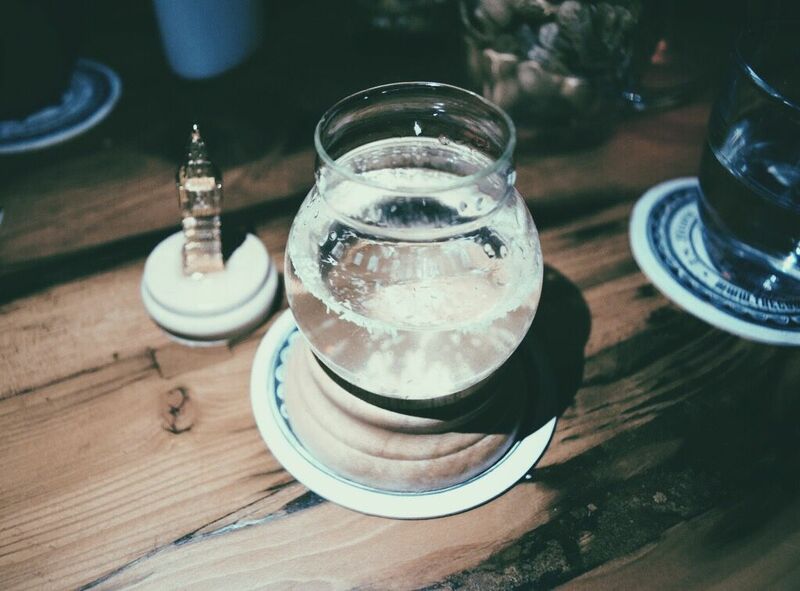 From the seasonal menu, my favourite was the Citizen Cane, which you may have seen on my Instagram, this is a cocktail in a snow globe people. Yep an actual snow globe, shake the cocktail to mix it and then turn it over, let it settle and pull out the stopper and drink it. Citizen Cane is cachaca, rosebud tincture, cardamom vanilla infusion, lime juice and Sauvignon Blanc and tasted really good. 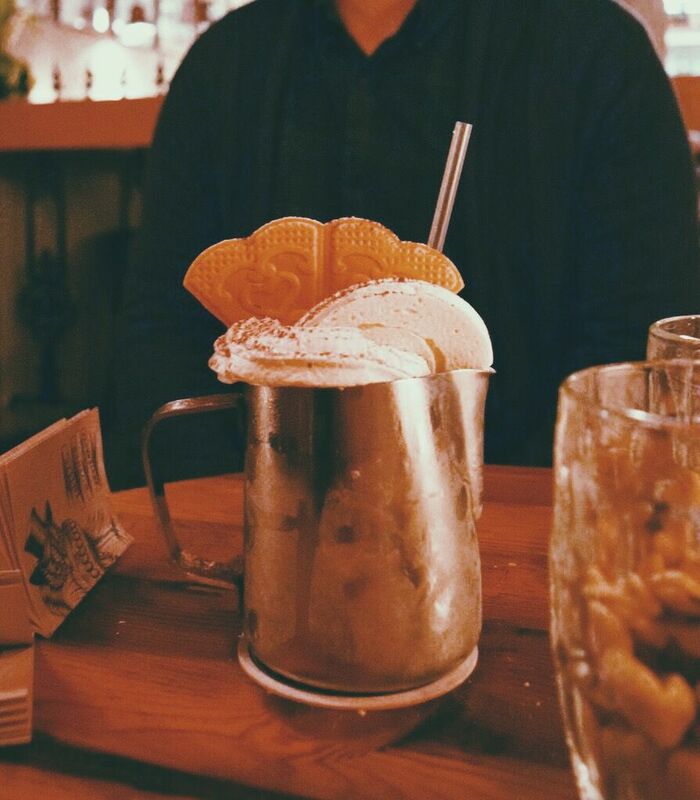 I loved the creativity of this and the cocktail concoction too was something I’ve never tried before. 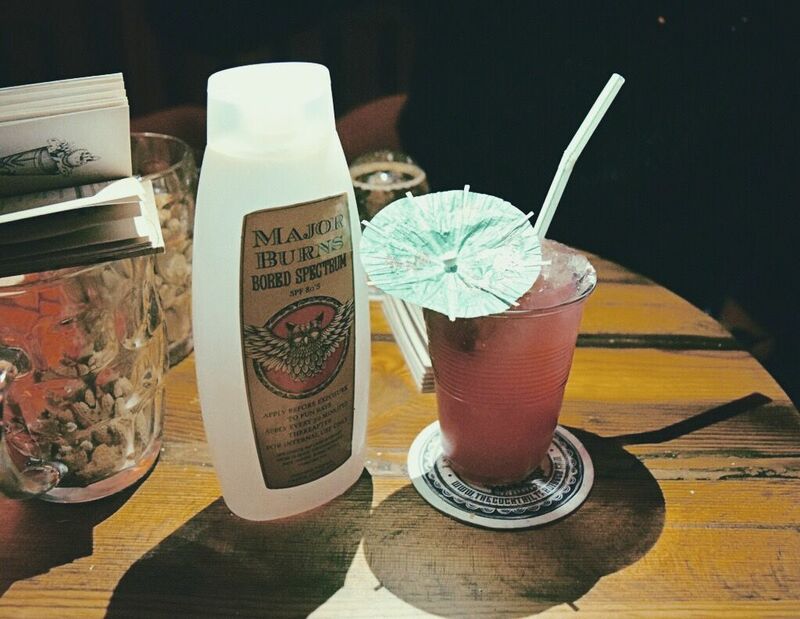 The Tequila Sunrise comes with its own bottle on the side to mix it up, whilst the Hop Butter Bun is complete with meringue and wafers to garnish. This one was really interesting and surprisingly I liked it as I’m not a beer fan and it was wheat beer mixed with Bols genever infused with raisin and nutmeg, summer spiced syrup and lime juice. We also tried the Daisy De Santiago, a blend of Bacardi Heritage, lemon ‘n’ lime sherbet and green chartreuse, which was a pretty interesting mixture. The cocktails are really fun, but if you are not quite ready to branch out on your cocktails, then they’ll happily make you something off menu too. 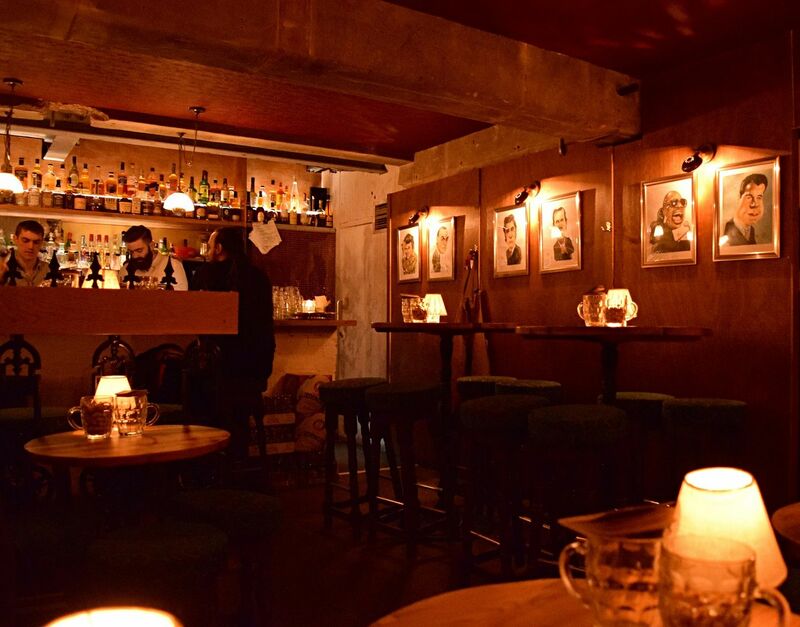 Cocktail Trading Company is definitely a hidden gem in Farringdon, so head along for some festive cocktails and impress all your friends with your amazing find. For more info visit www.thecocktailtradingco.co.uk. 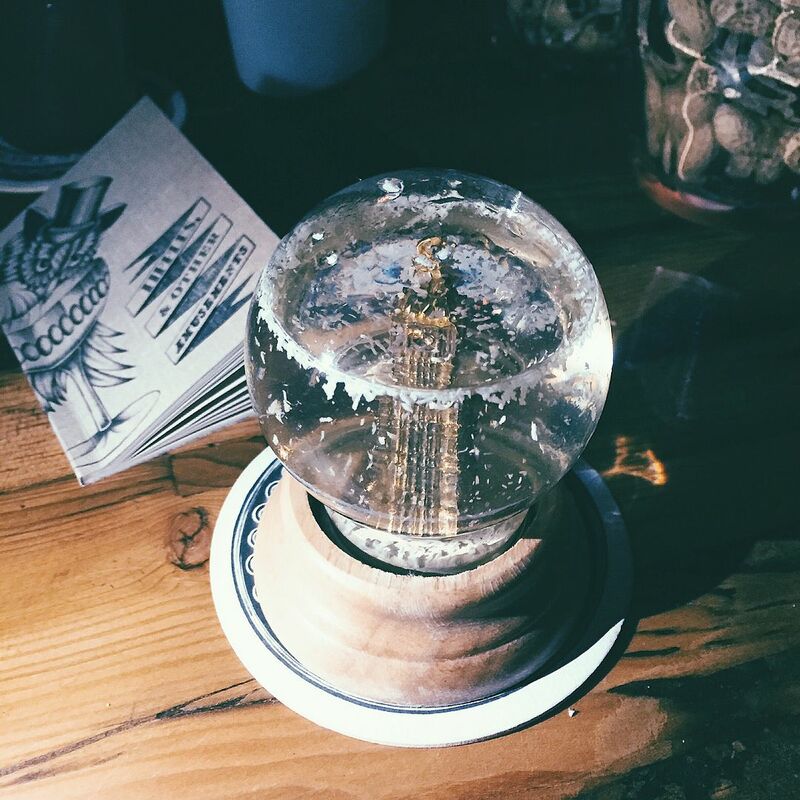 That cocktail in the snow globe is so cool!! Such a festive idea for a drink!